Wild Rose Reader: Poetry Friday is Here! The Poetry Friday Roundup is here this week. Just leave the URL of your post in the comments. I'll continue adding links throughout the day. Linda has a poem for us by Mary Oliver titled I Worry over at Write Time. Kerry Aradhya Is featuring the rhyming picture book WHO LIKES RAIN? 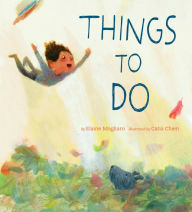 by Wong Herbert Yee at Picture Books & Pirouettes. Renee LaTulippe ended her Poetry Month celebration with a video interview of Children's Poet Laureate J. Patrick Lewis—which includes his poem Mosquito. Fuse #8 has a review of the new poetry book The President's Stuck in the Bathtub by Susan Katz. Linda at TeacherDance is sharing an essay that tells of the personal importance of poetry--and a Mother's Day poem by Ted Kooser. Steve Withrow is sharing two original poems this Poetry Friday—one inspired by a great painting and one that is “a bit of zoo-illogical nonsense. Katya has a couple of spring haiku over at Write. Sketch. Repeat. Liz Steinglass has a silly original poem titled Detour at Growing Wild. Jama Rattigan asks if we like “obscene words.” If we do, she says we’ll like a poem she shares that was written by Diane Lockwood. Ed DeCaria says he’s back in action today! He’s introducing his new branch of applied statistics ... POEMETRICS! He’d like everyone to come by to share their opinions before he starts to lay down some facts! Doraine Bennett asks, “Twitter sonnets??! !” I dunno. You’ll have to check out her Poetry Friday post. Diane Mayr has a look at New Hampshire poets at Random Noodling. Diane says he war is over, and so is the book, at Kids of the Homefront Army. Kurious Kitty recommends The Poets Laureate Anthology. At Kurious K's Kwotes', Richard Eberhart describes poems. Author Amok is working on Fibonacci poems with third graders this week. 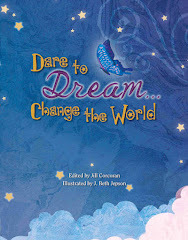 Check out her lesson and some student poems at her blog. David Elzey is “finishing up” National Poetry Month with the final roundup of tweeted haiku. They’ve had “a rather horsey week” at The Write Sisters. They’re that theme with girl (three) and the black horse by Rg Gregory. Over at A Teaching Life, Tara is sharing a collection of poems about manners, which—she says—are actually a lot of fun to read. Andi Sibley has a haiku/renku Daisy Chain done by the Poetry Sisters that she is sharing at her blog A Wrung Sponge. Laura Salas is in the the Poetry Sisters' Daisy Chain Haiku. Check out her Poetry Friday post here. Take a look at this week's poems of 15 Words or Less. Sara Lewis Holmes joins with Andi and Laura in the daisy chain! Her post on the haiku game is here. Liz Scanlon invites us to check out her Poetry Sisters Renku post. PaperTigers is in with a post on a book of poems about Old Order Mennonite children. Gregory Pincus shares an original poem titled A Note for My Grandma (Left in her Kitchen) at GottaBook. It’s a poem about food and family. Violet says that she read her first verse novel this week. She shares her impressions of Stop Pretending by Sonya Sones at her blog. Charles Ghigna presents his new A Poem Is a Painting poem at his blog Father Goose. 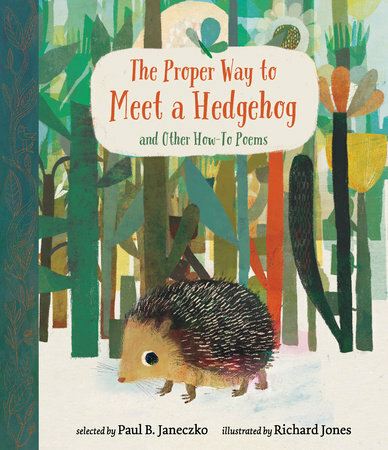 Over at Teaching Authors, April Halprin Wayland has three different versions of an original poem for us. She’d like our advice and suggestions about them. BTW, the Teaching Authors blog is celebrating its third blogiversary! Find out how to enter their Blogiversary giveaway contest to win one of THREE $30 gift cards from Biblio.com. Today at The Poem Farm, Amy has the complete Dictionary Hike from April...with audio. She said she just added an audio introduction the other night, for any students who might listen in a computer lab. Lorie Ann Grover has A Perfect Pause for us at On Point. At Readertotz, you can go Around the Block with Sesame Street. And at Mainely Write, Donna Smith has a poem that she wrote for her daughter on her birthday—which is today! Jone shares two student poems with us at Check It Out. Julie Larios says she is taking a break from The Drift Record this week—but over at Books Around the Table, she takes a look at idioms in different languages as a source for poetic images. It’s nice to have Tricia posting again at The Miss Rumphius Effect. Today, she gives us “her take” on the daisy chain haiku. Tabatha Yeatts joins us poetry posters with with Dana Gioia's Pity the Beautiful. Ruth has a poem by Jane Yolen for us today at There Is No Such Thing as a Godforsaken Town. Joyce Ray has a review of Won Ton: A Cat tale Told in Haiku. 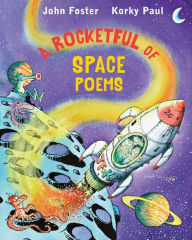 You’ll find a post about A Pocketful of Stars: Poems about theNight at Books 4 Learning. Betsy of Teaching Young Writers got herself a new notebook and wrote on the first page of it yesterday...finally! At Beyond Innisfree, Shawn shares his original poem titled Friday’s Resolve. Mary Lee Hahn said the following link was left in the “comments” on her Poetry Friday post. Good morning, Elaine! I'm in today with a Mary Oliver poem. Thanks for hosting! Hi, Elaine. I feature the rhyming picture book WHO LIKES RAIN? 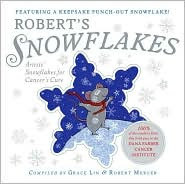 by Wong Herbert Yee on Picture Books & Pirouettes this week. Thanks! Hi Elaine - thanks for hosting! I ended my Poetry Month celebration with Children's Poet Laureate J. Patrick Lewis on video with his poem "Mosquito" as well as a video interview. Good morning! I've done The President's Stuck in the Bathtub by Susan Katz. Thank you Elaine. Hope you have a wonderful first May weekend! I am sharing an essay today that tells of the personal importance of poetry and a mother's day poem by Ted Kooser. I have a couple of spring haiku over at Write. Sketch. Repeat. Can't wait to follow the Poetry Friday trail. I am back in action today introducing my new branch of applied statistics ... POEMETRICS! I want everyone to come by to share their opinions before I start to lay down some facts! At Random Noodling I have a look at NH poets. The war is over, and so is the book, at Kids of the Homefront Army. It's been a great run! Kurious Kitty recommends The Poets Laureate Anthology, and, at Kurious K's Kwotes' Richard Eberhart describes poems. I'm working on Fibonacci poems with third graders this week. 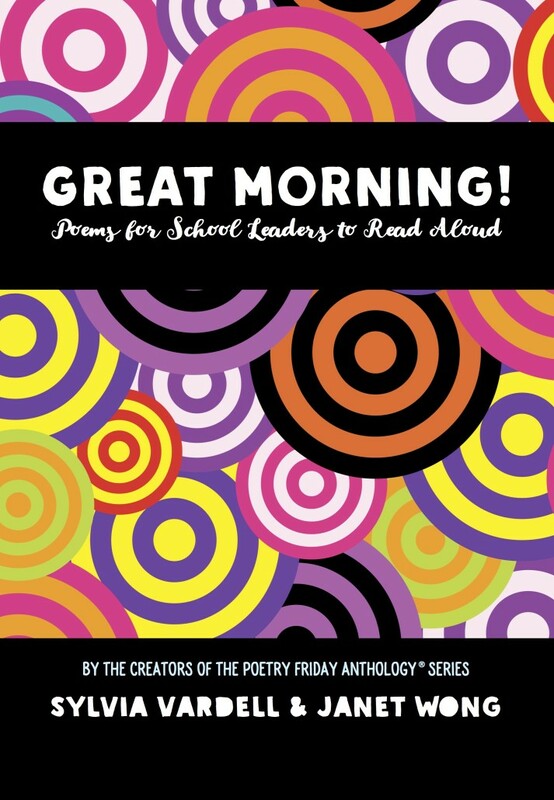 My lesson and some student poems are at Author Amok. 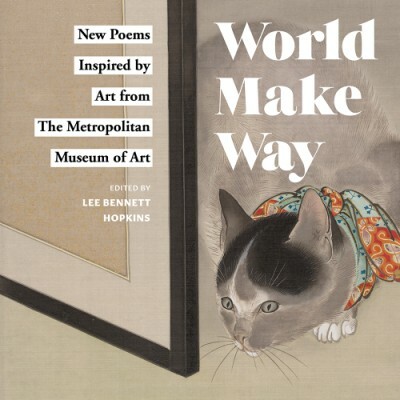 finishing up national poetry month with the final roundup of tweeted haiku. thank you kindly for hosting us all today! Hello, Elaine, and thank you for hosting. It's been a rather horsey week over at The Write Sisters. We continue that theme with girl (three) and the black horse by Rg Gregory. Thanks for doing the round up today Elaine! I have a haiku/renku Daisy Chain done by the Poetry Sisters to share on my blog A Wrung Sponge. Great fun! Thank you for letting us gather at your place today, Elaine. My offering is up: The Empty Juice Box Blues. Hi, Elaine - I'm up with an original poem, A Note for My Grandma (Left in her Kitchen). At On Point I have A Perfect Pause. And at readertotz we have Around the Block with Sesame Street. Thanks again! I have two student poems. Hi, Elaine. I'm taking a brief break from The Drift Record this week, but over at Books Around the Table I take a look at idioms in different languages as a source for poetic images. I'm in today with my take on the daisy chain haiku. Hi Elaine! Thanks for hosting! Thank you for hosting! I have a Jane Yolen poem today. Here it is: here. Thanks for hosting. 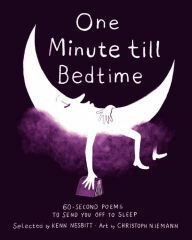 Please add my post about A Pocketful of Stars: Poems about the Night. Thanks for hosting Elaine! Got myself a new notebook and wrote on the first page today...finally! Thanks for your thoroughness, Elaine. Really appreciate it!